What is the problem in your story? How does the problem resolve (get solved)? A special Christmas in New BrightonMy name is Miss Scott and I have 3 kids Kyare , Dallas, and Bouncey. Kyare is 11, Dallas is 13, and Bouncey is the baby just 1 years old. This story is about one Christmas when I had no money to buy the kids gifts. The reason I had lost my job in Dr. Smith’s Office. I answered phones in the office and I worked there along time and one day in December he just fired me. I don’t know why.I walked home to my house in New Brighton on 209 Benziger Ave and the rent was due. I was afraid of being kicked out. I felt so sad, no rent money, and no presents for Christmas. Now my daughter Kyare has a friend on our block. Kyare is friendly and talks to everybody. He is an old guy his name is Mr. Higgins. She goes and talks to him in his yard all the time. But that old man never said hello to me and I never said hello to him. Then I guess Kyare told him about our problem. The next thing I knew someone had paid my rent, and I did not know who. On Friday before Christmas he walked over and rang the door bell and just said I know you have no money this Christmas to buy the kids gifts, so maybe you and I could go together, I have some extra money. And that is what we did. I bought Kyare a doll set and small laptop, Dallas got a really great car set and the sneakers he wanted, and Bouncey I bought clothes and a baby set of toys. That was the year I lost my job, got a new friend and had the best Christmas ever thanks to Mr. Higgins. Maybe you know someone who needs something this Christmas and you could make there Christmas as happy as ours. Santa Falls down the Chimney and breaks his legs.Hi my name is Mark Richard and this is my story of how Santa broke his legs in my Chimney. It was Christmas Eve at Midnight and I was waiting for Santa. I was supposed to be asleep but I was still awake. I heard noises, bells and crashes. Must be Santa. I went out side to see and I saw. Santa Claus he was screaming in pain. Ho HO HO, owww owww owww .I woke up my father and we saw all the presents. Then we took him in the house fixed his leg. Santa Claus asked us to deliver the presents to the people. We got on the sled and put the presents in people’s Chimney and all the people were happy. Christmas was good..
Then we went back home and got our presents. Then I was happy. Merry Christmas and to all a good night. Hi my name is kassem and I am going to tell you a Christmas story. Once upon a time on Christmas Eve There was a reindeer named Joey and snowman named Frosty.Frosty lived in Hawaii and because of this he had to stay in Air conditioning all the time. Joey the reindeer lived at the Northpole helping Santa bring gifts. the Haywain snowman lived.Now something happened that never happened before. It started to snow in Hawaii. Frosty did something he never does, he left his airconditioning and went outside. Joey walked right by Frosty on the Street. He asked, Frosty what is your Name. Frosty “I am Frosty the Hawaiian snowman. Now this snow storm was really bad, and Joey was afraid he would not get back in time to the Northpole for Christmas.Suddenly Santa landed in Hawaii with his sleigh. Frosty asked his magic whip to get them out of the storm so that they can deliver the gifts. Santa Cracks and suddenly Joey started to fly. And Frosty used his magic to get on Joey back. Santa helped them out. Now they started delivering presents. But Frosty could get down the chimney because he would. They deliver all the gifts and Frosty decides to move to the North Pole and so he did. Santa and the Motorcycle Gang.This year Santa had a problem getting to the people. Then during take off, his sleigh broke down. He does not know what to do. How will he get to deliver the presents.Then he hears a noise ruuuuummmmmm ruuummmmm. It sounds just like motorcycles, and you know what it was motorcyles. But you will never guess who was driving them. The lead penguins name was Joe. He wore a leather jacket and biker glasses. Santa was happpy He said, “Some people are naughty and some people are nice, and you are real nice.” He gave them motorycle boots. Ho. HO. Ho , Merry Christmas. One Christmas on Christmas Eve a boy was watching the news. This was the story. There was a reindeer on the loose in the City. The boy saw a man had found a reindeer. His dad came home and he had this reindeer with him. The boy called the reindeer Sparky. And they kept him in their shed. Now the problem is is this was one of Santa magic reindeers, and he had to get back to the Northpole if Santa was going to deliver presents this Christmas. This family new it was their job to get hm back to the Northpole. But it was expensive to ship a live animal thousand of miles. Three thousand dollars. just in time for Christmas. They sent off Sparky in the Mail.And on Christmas eve Sparky led the sled and delivered presents to the family who helped him. My Christmas Trip to Rockefeller Center. This year my family went to Rockefeller Center. My cousins, my mom, my dad,my grandma, my uncle and my other grandma and my other uncle we all went in the city to see the tree. We took two cars to see the tree. When we got there it was beautiful, there was a big star, lights, presents, and then we saw the Angels. There were people there singing about Christmas. We had a great time and I want to do this next year. Now Frosty was a good guy, a snowman. But he had one problem he loved soup. And the soup made him melt from the steam. His favorite kind of soup was noodle soup.But it always happened he would want the soup, eat it and end up half melted. Now the children loved Frosty and they told him you have got to stop the soup. It will kill you.When he heard it from them, he knew they loved him, and it was easy to give up the soup, and he gave it to the children everytime he wanted it for himself he gave a bowl of soup to a child. So he never melted again. Christmas DayWhen I woke up it was Christmas Day. I wanted to get out of bed and go out and play. I looked out the window and it was snowing. I thought my head was exploding. I ran out the door to open my presents. Together we tore through our gifts. I found a shirt, and it was a wonderful fit.We went outside for a snowball fight. We played untils it was night. We went inside to have a feast. Someone was hiding … it was my niece. Finally Christmas was over and I went to bed. I will always love Christmas until I am dead. Story 10Lucas the SnowmanJoseph was making a snowman outside looking at the Christmas tree with the beautiful star. When he was done he thought something was missing. He found a scarf and put it on the snowman’s neck. When he went to bed he dreamed about the snowman. In his dream the scarf floated in to his room. It spun very fast over his head. Then the scarf stopped spinning and floated back to the snowman’s head. The next day Joseph went to see the snowman outside. He named him Lucas. After he named him Lucas came alive. He saw that Lucas was truly alive and he had a snowball. They ran to a snowfort and hid there and took on anyone looking for a snowball fight. They were really good winning snowball fight after snowball fight. When they had beat almost everyone and almost at the Christmas tree with the Beautiful Star, from no where a snowball fired at Lucas, Watch out, said Joseph. Lucas took out his scarf and swung it at the snowball and that snowball flew at the snowman who threw it. The last snowman was knocked out and they went to the tree where Santa was waiting for them and gave them the beautiful star. Story 11 Ruldolph the Broken Legged Reindeer.I know you know Rudolph and his red nose, but this story is about Rudolph the Broken Leg Reindeer. Once upon a time in the North-pole a deer named Rudolph Broke his leg and could not fly. Soon it was Christmas and Rudolph still had a broken leg. Santa was worried, no flying Rudolph, no flying sleigh. He would not be able to take the toys to all the kids. Then kids would stop believing in him. On the last day before Christmas. Rudolph woke up and his leg was better and he flew right to Santa. Santa was very happy, HO HO HO, and they flew to the sled just in time and delivered the presents. broken legs meant blitzen could not fly. It was Christmas and Bitzen was hurt. Santa knew he could not go with out Blitzen. So Santa looked at Howeird and he took Howeird instead. Now Howeird started acting stupid right away and fell of the sleigh in Venezuela, and he was asking everyone in South America how to get back to the North pole. But he went to the Southpole by accident. Santa found him and Howeird had learned his lesson and never acted foolish again. Santa was Happy that Howeird no longer acted so stupid,and that year all the presents got sent to every kid in the world with the help of Howeird the Reindeer. Justin was outside and he met the snowman Frosty. Now the weather was getting warm and Frosty begins to melt. Justin goes in his house and take out some magic cocoa. He mixes it with cold milk and bring it out to Frosty. Frosty had really begun to melt. Now he was almost gone, just water. Justin poured the Magic Cocoa over him and Frosty came back to life. Then Frosty and Justin dance and have fun. ONe year my friend and my family and me went to the Northpole. This year when Santa came to my house we jumped in sleigh. This sled went real fast. When we got there we saw Elves and a whole bunch toys. I saw a snowman and I knew he was Frosty because he was alive and they were having a conversation about the Naughty kids and the good kids. He was trying to convince the Elves to give the naughty kids a little something for Christma.It was time for Santa to go back to work and he took us back on the sleigh and he gave me a great gift. Rudolph who I keep in my backyard and his nose is really red. My main Character is Santa and Mac, Minor Character are Rich and Lucy. One year a guy named went to the North pole. Mac hated Christmas. He wanted to stop Christmas. So he made a plan to steal all the presents. He hid all of them but he would not tell anyone where they were. The Elves were frantic and they tried to make new ones, but there was no time. They started to look everywhere, they found a cave. They did not know what lived in there but there were giant footprints all over. Like a bigfoot. When they went they saw the scariest looking monster ever, but he was not really a scary guy. He was actually pretty nice. So he helped them get their presents back. Now mac came there dressed as Santa and the elves and the monster gave this fake Santa the presents. The Evles realize this is not the good but the bad Santa Claus Mac. Santa comes and saves the toys and Christmas. They load up the sleigh for a great Christas day. Ho HO HO Merry Christmas and to all a good night. Story 16.This Christmas I want to celebrate with my family. I want to get presents. In my family we also Celebrate 3 Kings day on January 6th. This is how we celebrate. We make a lot of Dominican food like rice with chicken, salads with tomatos and onions. We also have special deserts. We get the presents at Midnight. And we celebrate the New Year as well. Story 17The best Christmas EverI was 5 years old and myself and my cousins always helped my grandma take out the Christmas tree and set it up. We used to invite all our friends over and sing Christmas Carols and read books and Christmas stories outloud to see who is the best reader. I felt him grab me and shake me and I woke up it was all a dream. M ore presents is better. My name is Anthony. I am 16 years old. I have always had a sad Christmas. I am very poor. I live in Baltimore. My mother is not in good shape. She has HIV and my father died from Parkinson Disease, he was 33 when he died.Now my mother’s mother Brittney is very rich. She hit the lotto when she was younger. This women has everything, She won 30 million dollars. she has a big house and 3 cars, a maxim, a 2007 Bentley, and a 2008 Mercedes Benz. Brittney my grandmother is very selfish but lucky. She won the lottery again for 2 million when she was 40 years old. She gave nothing to her kids. In fact she was so mean she scared her kids away. She said she did not care about her poor kids.To get back to the subject, at Christmas, my mother never had a lot of money all she could do was buy me a winter hat or a puzzle, that was all she could afford. Now I am a teenager and would have loved other presents, but I was happy with what she gave me. In school my academics are good, I am passing all my classes. I am in 10th grade and play football for the school,I am the schools Quarterback, I am number 2. Kids in my neighborhood call my grandmother Ms. Scrooge this went on this way for years. She never shared her money with anyone. Then she lost everything, she was robbed and her house went on fire. She had to go to a shelter. At about this time, my mother won money in the lottery. I was so happy she bought me everything. My mother grew up poor and never had any money she was so happy to finally have something. she said you gave me life, even if you were not nice, I don’t want to be like you. This year we had a great Christmas with plenty of presents. 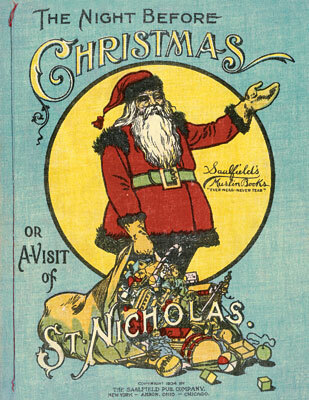 On Christmas Santa Claus come to town every year. He brings gifts for everyone. I am from Mexico and we Celebrate Christmas sand we the celebrate the Three kings. For the Three King Day. The three kings come with the gifts. In my house we eat Turkey like on Thanksgiving. We have a Çhristmas tree in my house and on January 6th the Three kings come and I leave treats for them. Cookies, sometimes Çhipsahoy. I love Christmas day and the Three kings day. Parliament, outraged by the blatant destruction of British property,enacted the Coercive Acts, also known as the Intolerable Acts, in 1774. The Coercive Acts closed Boston to merchant shipping,established formal British military rule in Massachusetts, made British officials immune to criminal prosecution in America, and required colonists to quarter British troops. 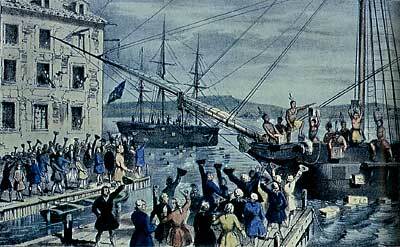 The colonists subsequently called the first Continental Congress to consider a united American resistance to the British.